The Railway has a big engine line-up for 3 days of this weekend’s 4 day festival. 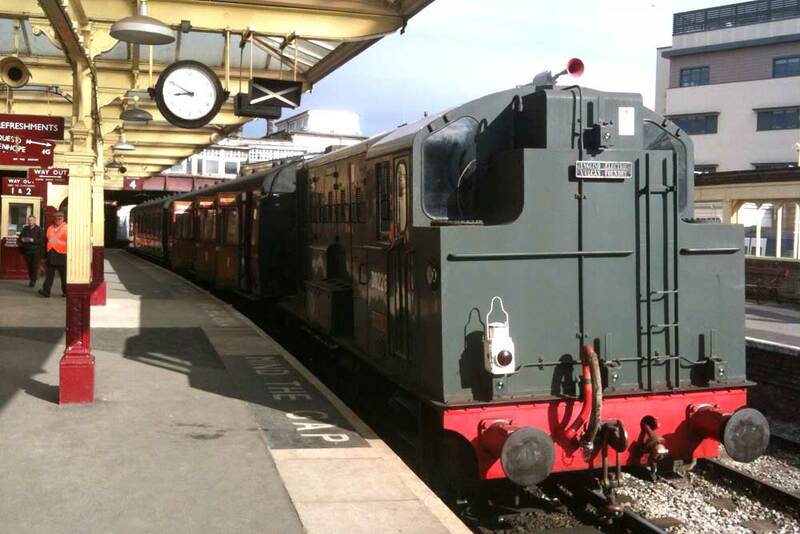 Sunday – Class 101 DMU will be taking the diesel turn handing over to 34092 and 5820 for the steam hauled services. 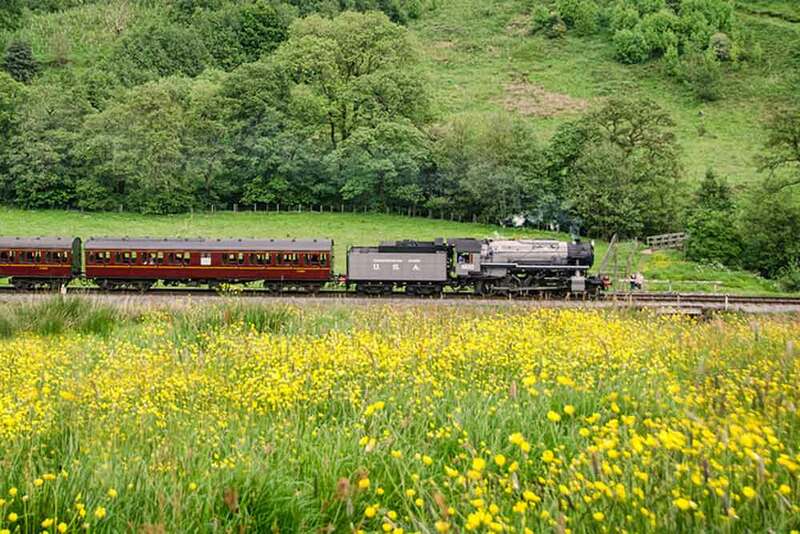 With the line still severed between Oakworth and Haworth, a steam shuttle will once again operate between Oxenhope and Haworth. 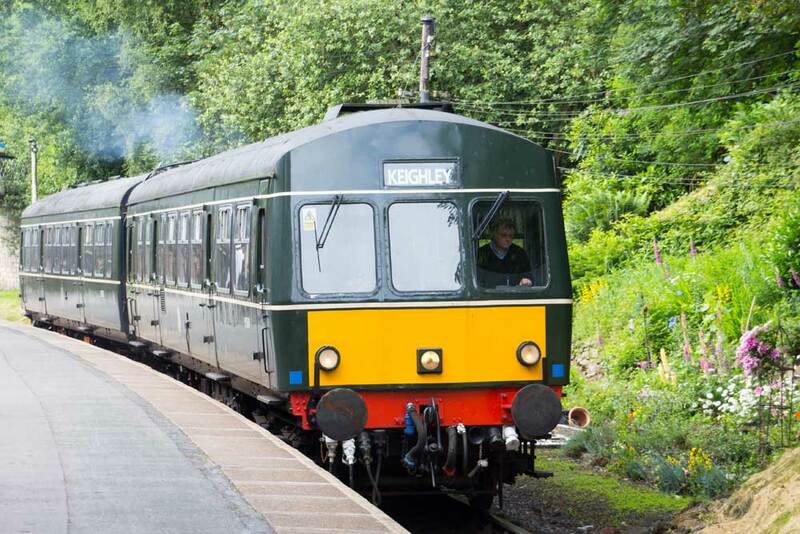 A diesel service will operate on the northern section between Keighley and Oakworth. 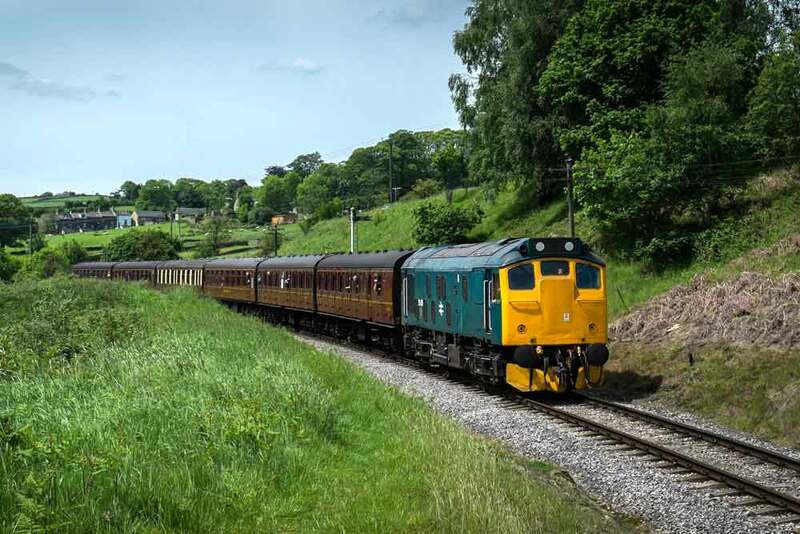 In addition a vintage bus service, operated by Classic Vehicles of Yesteryear, will operate between Ingrow and Haworth. Click HERE for the special timetable. 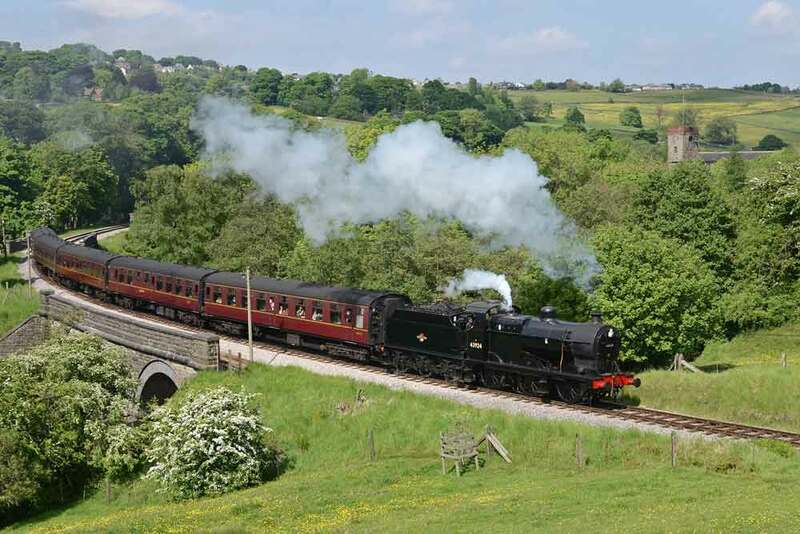 With no run-round facility at Haworth, the steam service once again will be top and tailed with WD 2-8-0 90733 at the south (uphill end) and English Electric 0-6-0 diesel D0226 or Class 25 diesel 25 059 at the northern end. Further down the Valley the diesel service will utilise our Class 101, 2 car DMU. 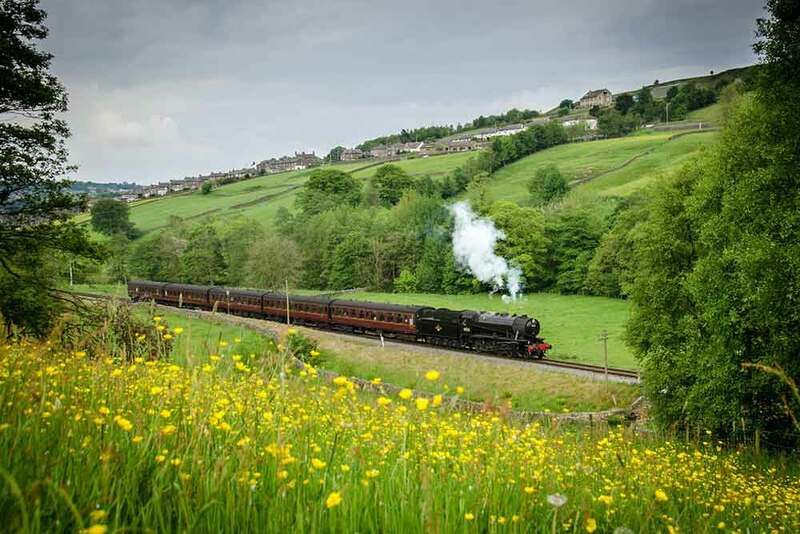 July 6th, 2014 will go down in the history of the Keighley and Worth Valley, as the day when the Railway ran a record number of trains staffed by a record number of volunteers although, whether it carried a record number of passengers is disputable. Oh, and there is the matter of a cycle race that took place watched by a record number of people by the roadside. So records tumbled throughout the weekend as Le Grand Depart of The Tour de France took Yorkshire by storm. The photographs only tell part of the story. 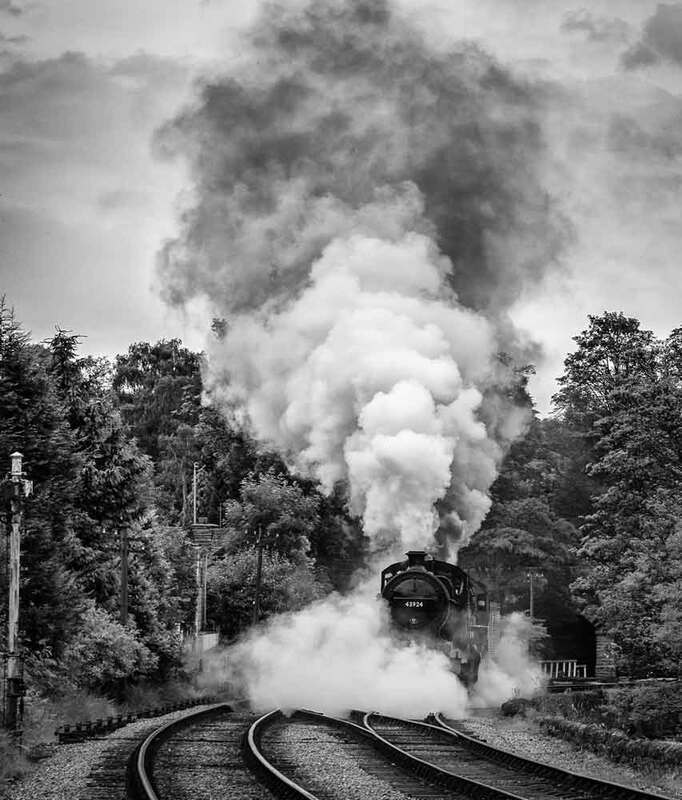 Behind the photographs were weeks of planning and behind the scenes work on rolling stock, catering requirements and so much more which all came together to produce an intensive train service, the like of which the Railway has never seen in its long and humble existence. This was more like commuting into a big city rather than a journey along a quiet Yorkshire railway by-way.